Company: Betta Persephone (Black Small Fighter) are best kept with alone or with other very small species. Aquarium setup: Betta Persephone (Black Small Fighter) needs an aquarium with the minimum length of 40 cm / 16 inches. The aquarium decoration should consist of a lot of plants allowing the fish to find a lot of hiding places. Male Betta Persephone (Black Small Fighter) are aggressive with each other. Females are very peaceful. 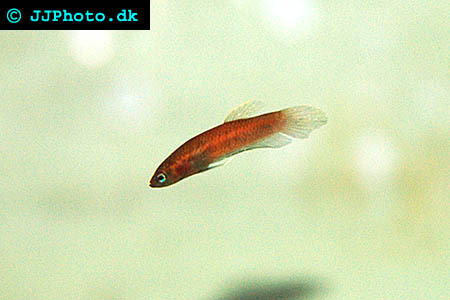 Feeding: Betta Persephone (Black Small Fighter) sometimes accepts tried food but live and frozen food is preferred.